Your donations help our “Casa de Retiro” to give us the opportunity of a dignified life in a socialized environment! You can make the difference for senior citizens in their later part of their life, with quality assisted living in a pleasant retirement home. Support us by sending a wire transfer to: “Asilo de Ancianos Luis Elizondo, A.C.” Clabe: 014580655008770484 at Banco Santander. Using our PayPal button on the top of this page, provides a safe way to make donations in any type of world currency. We do provide certified deductible receipts. 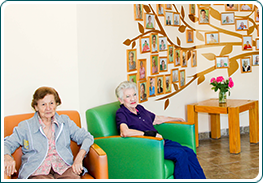 “Asilo de Ancianos Luis Elizondo, A.C.” provides elder care, and assisted living to 100 senior citizens with integrated quality service. Which in most cases, cannot be afforded by themselves or their families. That is why 100% of our residents are sponsored in some way, so they can have a good quality way of life in a dignified environment where they can socialize and receive overall elder attention. In order to fulfill it’s purpose and mission, the institution reaches out to businesses, foundations, and personal donors in the community for support in sponsoring with a percentage of the total cost of elder care on a monthly or yearly basis. This sponsorship program plays a very important role in supporting the retirement home keeping a high standard of quality and service. The monthly cost for a senior resident is $7,150.00 pesos (MXN) your sponsorships are greatly appreciated. All donations and sponsorships are deductible! Every year there are always different needs for improving our service, and expanding our facility, which can only be done with the support and donations from foundations, businesses, and personal donors. Main objective: Make available to our elder residents a well equipped area with specialized equipment for senior citizens, by which they can reach a healthy state. Main objective: Provide a comfortable computer area for our senior residents where they can access the internet with the latest tools that can reach their families, friends, and followers where ever they might be. Accessing news, and performing basic practices that promote their personal active development. Main objective: Have our own specialized vehicle for our residents. Main objective: Build a couple of sleeping male quarters to expand the capacity and be able to receive 12 additional senior residents. We really appreciate your generosity and support for these projects. Remember that all your donations are deductible! For more information contact Carolina Estrada González.